Ion Gap is a product pipeline involving the assembly and subsequent sequence analysis of bacterial genomic data. Both its components and its configuration are based on a research process which aims to discover the optimal combination of tools needed to achieve results of a sufficient quality from “single-end” readings generated by the Ion Torrent PGM (personal genome machine) sequencer. The Ion Torrent system offers low-cost genomic sequencing, enabling widespread use in bacterial genomics. Given the vast amount of information generated by this platform, there is a need for bioinformatic tools that are simpler, more intuitive and which require minimal training, in order to transfer this technology to the clinical setting. 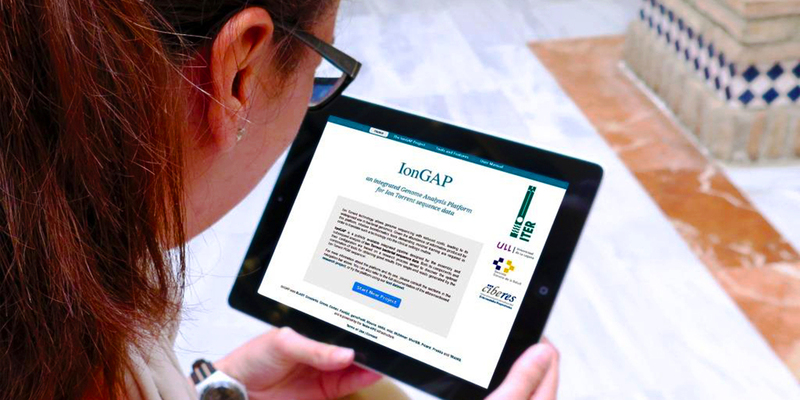 IonGap was born from a research project at the University of La Laguna, where it was initially conceived as a tool for genomics experts of the University Institute of Tropical Diseases and Public Health of the Canary Islands. It has since become a joint project between the Institute of Technology and Renewable Energies (ITER), the University of La Laguna and the Canary Islands health service (SCS), based in Tenerife and running on the TeideHPC supercomputer. IonGAP is in the public domain, running on the TeideHPC supercomputer, and is being used by a large number of professionals from a range of countries and institutions.